Nick Curry was working as a salesman for a major power-tool manufacturer when his wife opened a beauty tanning salon, backed by £100,000 of their savings. To add some extra income the salon also sold a small range of beauty and slimming supplements. Five years later, after using his pension to help back the business, Nick is now the boss of an online supplement business with its own Evolution Slimming product brand and a £7m turnover. He approached the banks, but “they wouldn’t even give me a £6k overdraft, so I started thinking there must be a way to use my pension to help.” There was, and it came in the form of pension-led funding from pensionledfunding.com. Pensionledfunding.com took Nick through the process of using his accrued pension to help back his company. 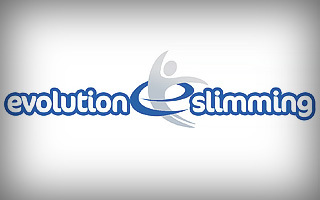 A SSAS was set up and the Intellectual Property (IP) Nick held within the online supplement business, now called Evolution Slimming, was independently valued. As a result, his new pension scheme was able to buy the IP generated by the website to provide the company with £40,000.k. Evolution Slimming continues to grow and Nick’s only regret is that he’s had very little time off in the five years since it was established. Because the business is online, a small team is able to handle the database of 220,000 customers, generating 1,500 orders every day from 135 countries worldwide. With more than £2m in the bank to help expand the business further, Nick no longer has to worry about cashflow. But, he believes he is one of the luckier UK SME owners. Nick Curry set up a village-based beauty therapy clinic stocking a minimal amount of natural health slimming supplements. These sold so well he gave up his job to focus on selling the supplements online. Nick went to the banks for help in establishing the business but they were unwilling to lend him the money he needed. Nick approached pensionledfunding.com and a SSAS was created. His intellectual property was independently valued and his pension scheme then bought his website for £40,000. This cash injection gave Nick the comfort to place several large stock orders. Three years later the business is turning over around £7m this year – approximately £700,000 profit – £2m cash on deposit.The business is going to buy back the website, subject to an independent valuation, at what is expected to be an enhanced sum.